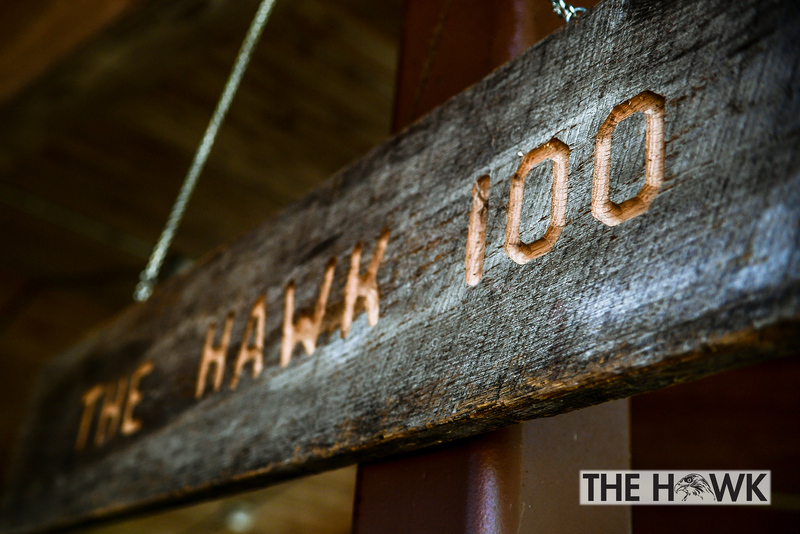 Make yourself a warm beverage and cuddle up – this is the beginning of a long post because 100 miles starts with just 1 mile…and this is a good chunk of my why… Stay tuned for my full Hawk 100 race report! Why do you run? I started running many moons ago for vanity. I was an overweight college student that wanted to lose weight. My running would start and stop for years for various projects, life events, college, relationships,…whatever. In 2014, I started running more seriously after the birth of my son – yes, again to regain my health and lose the baby weight. As most runners do, I started with the 5K and then the 10K – with the hope of being able to accomplish a half marathon. Once the half marathon was accomplished in 2015 (4 times the first year), I set my sights on the marathon – which wrecked me. I hadn’t ever experienced that kind of pain…but I wanted redemption (when I could walk again…). After that marathon, I focused the remainder of the spring/summer/fall on learning how to pace half marathons and just enjoying running again. Meeting new, like-minded runners each race was a breath of fresh air and I have been able to foster those relationships to this day! In the summer of 2016, I started a marathon training plan with no marathon on my schedule for the fall. I mostly wanted to stay in good condition for the fall pacing season and a marathon training plan was probably a bit excessive… During one of my long run weekends, I chose to run 30 miles for my 30th birthday. While on the run, I decided that it would be WAY EASIER if there was an event I could run rather than spending all of the miles by myself. I searched online and found that the only race that weekend was the HAWK Marathon in Lawrence, KS. This would have been a great option for my miles if I knew about it before no, so I put it on the back burner in my mind… But not for long! Who knew that a good friend of mine wouldn’t be able to complete her first 50K attempt and would want to find another opportunity to finish the distance in the same season? In an act of support, I registered to run with her at the Prairie Spirit 50K – a successful completion of a long training cycle for her and “just 5 more miles than the marathon I am “training” for” for me. With the elation of finishing my first 50K, I started thinking about longer distances rather than faster times. Similarly, in 2017 I requested that Santa gift me a registration to the HAWK 100. Friends and family were shocked at the thought of the effort it would take, but I was totally up for the challenge! This year, I felt like my training went really well! Throughout the 20 week cycle, I did my best to get in all the miles through the week and long runs on the weekend. I also tried to get out on the trails as much as I could on the weekend for my long runs so my body would respond well to the variety of trail textures (dirt, rocks, roots, hills, etc.) at the event. When I couldn’t make it out, I made my way to some local-to-me trails to keep the trail training going. As the main event approached, the weather became a bigger factor in my prep than I would have expected. Torrential downpours in the week leading up to the race left my taper a little bare from miles (but that was probably a good thing in the end) and major local flooding kept me from using the local trails. With the showers received Thursday and Friday in Lawrence, there was also the thought that the event may be moved from the Clinton Lake trail system to the campground roads. While this wouldn’t have been a change ANY of the runners wanted, we were all aware that the condition of the trails would dictate our route – and we supported the Race Directors decision no matter what. With our weekend bags packed, we headed to Olathe on Friday to settle in, plan our attack, and get excited for the weekend ahead! I can’t wait for the next installment to come out! Nothing brings me more joy than thinking about everything you’ve done and accomplished in order to run a 100 mile trail race. I remember the nervous wreck you were before you ran your first 5k and now look where you are! Awesome post! Keep it coming! Can’t wait to hear the race report!! I am thinking about changing to more miles instead of faster for a bit myself!